The Choctaw Casino Resort is a major casino and hotel complex located in Durant, Oklahoma and is owned by the Choctaw Nation of Oklahoma. In 2006, the facility was expanded with the construction of a world-class casino. 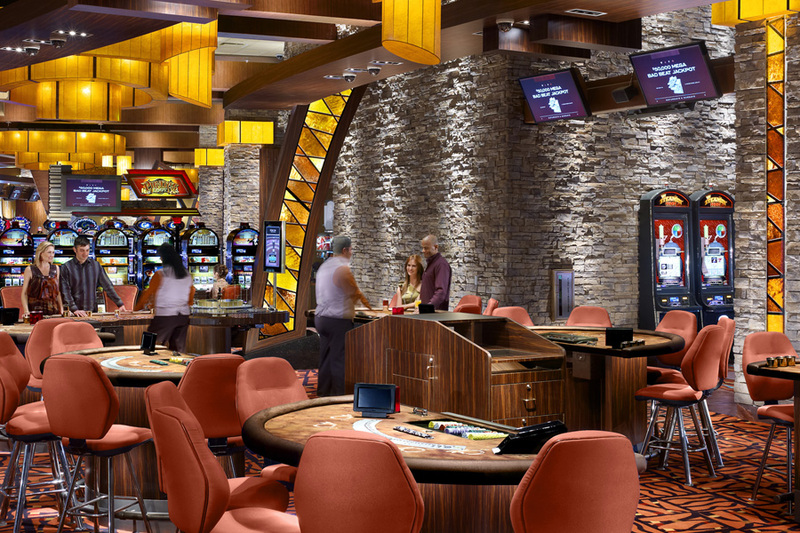 The success of the first casino led to the construction of a second larger casino in 2010 that was named the North Casino while the original casino became known as the South Casino. In 2013, a massive remodeling project was started on the South Casino to transform it into one of the most modern casinos in the world. As plans for the remodeling of the South Casino were discussed, the desire to improve the digital signage system emerged. The system had to respond to a common challenge faced by casinos: How to improve the experience of their guests at the gaming tables when a major sporting event is happening. 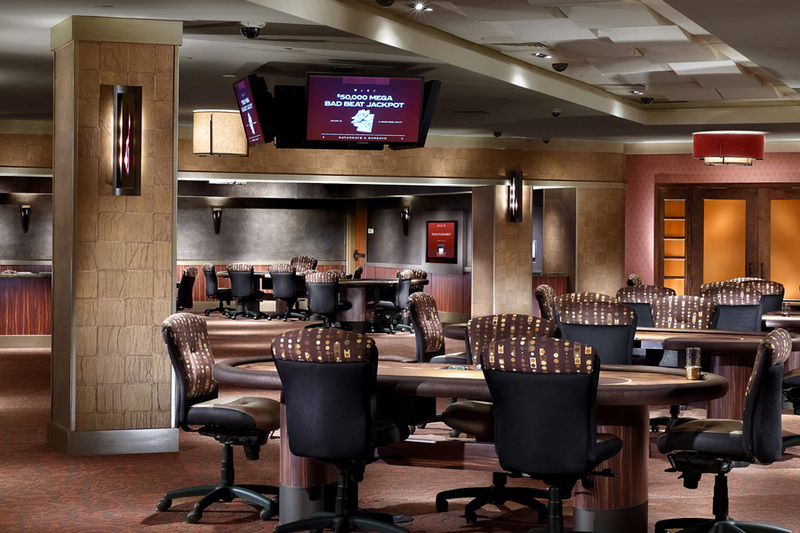 In the past, when a much anticipated game started, the casino would lose the guests from the gaming tables to the bar or to the OTB (off-track-betting) area . The objective for the new casino digital signage system was to be able to easily switch between a digital signage information/celebration channel to a TV channel on any screen in the casino at any time by any authorized staff person. 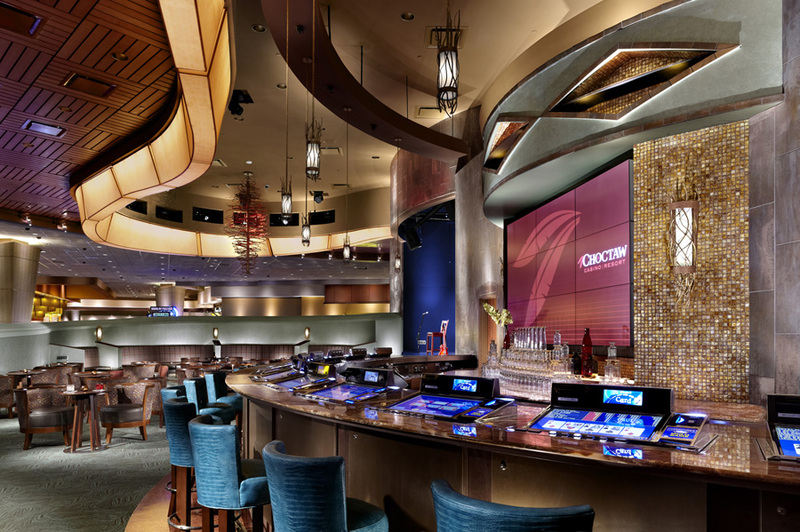 To design the new casino digital signage system, Mathews consulted with Denis McCubbin at Nautilus Entertainment Design in San Diego and Lance Hutchinson at CastNET. CastNET is a division of Alpha Video and dedicated to providing digital signage solutions. As they discussed the design, it became apparent that as simple as the objective sounded, the solution was more complex and challenging than anticipated. As with most IPTV solutions, the network begins with Cisco switches. The network installed at the South Casino included one Series 3750 core switch and five edge switches installed strategically around the casino so that no screen would be more than 330 feet from an edge switch. The connection between the core switch and the edge switches is a 10GB fiber link. All the sources go into the core switch as IPTV multicast streams. Four Technicolor Com1000’s transmit 96 satellite TV channels. A CastNET server with CastNET Content Management Software is installed as the digital signage solution to provide 16 channels of marketing content. Additional sources include a SiliconDust HDHomeRun TV Antenna system to bring in six local TV local channels as backup in case the satellite TV has bad reception. All sources are connected to the core switch using Cat6A cabling. At the other end of the network, each TV screen is connected to an Enseo HD3100 with a Pro Idiom set-top box using an HDMI cable. The set-top box is connected to the Cisco edge switches using cat5/6 cabling. Once the network and sources are installed, the channel still needed to be changed. This difficult task was accomplished with two CastNET innovations and the latest Crestron Control System. One innovation is the CastNET IP Manager software that resides on the CastNET server and manages the routing of live HDTV channel and digital signage channel streams from the CastNET players to the set-top boxes located next to the screens. Accessing the CastNET IP Manager is accomplished three ways: through the CastNET web interface, from a Crestron control panel, or from a smart phone or tablet using CastNET’s web control interface. The Crestron control system includes the MC2E control system, DGE-2 digital graphics engine with DigitalMedia CAT connectivity, and three touchscreen control panels (one 12” V12 wall mounted panel and two 10.1” TSW-1050 panels). The CastNET customizable web interface makes the channel switching easy. The web interface is optimized for Internet Explorer, Google Chrome, Firefox and Safari web browsers to work on PC’s, Mac’s, tablets and smartphones. Once the CastNET web control is accessed by authorized Choctaw staff, they will see a listing of just the screens they have been given access to and the sources they are allowed to use as well. When a high roller guest from New York plays poker and asks his dealer to change the channel on the screen right above his table to the Yankees game, the casino staff have several ways to access and change the channels to honor the player’s request. I’ve visited casinos around the world and Choctaw Casino continues to amaze me by being the leading technology innovator in the gaming industry. Any other facility I’ve been in will have multiple distribution systems. Choctaw uses one standardized IP-based distribution system for digital audio, direct TV, digital signage, distributed audio, and off-air antenna feeds. They are setting the standard for all other casino properties. And, the 48-foot wide screen is just awesome to see in person. Alpha Video & Audio was selected to integrate and install the audio and video systems for the South Casino remodeling project. 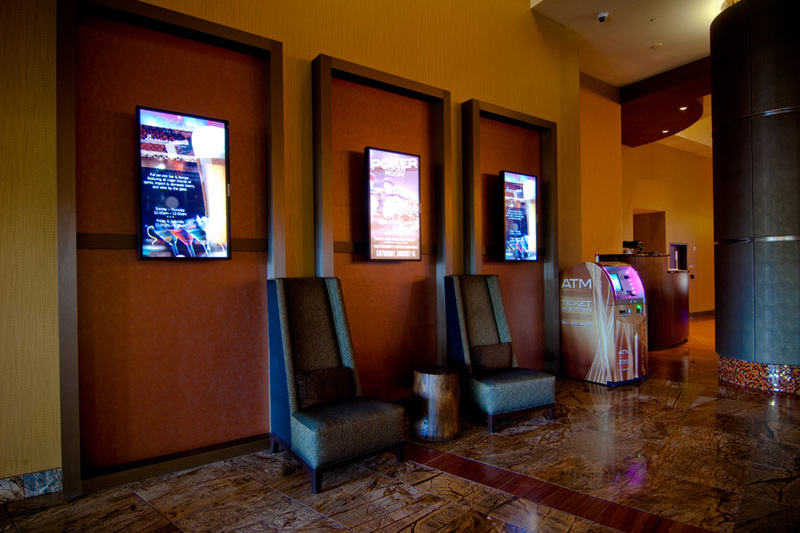 To meet the requirements for the digital signage system, twenty-nine 55” PE55C Samsung displays and ten 46” PD46C Samsung displays were installed throughout the casino using Chief mounts. A zoned audio system was installed using three BSS BLU-800 CobraNet audio DSPs with BLU-BIB and BLU-BOB expanders to distribute audio to six Crown CTs series 2-channel amplifiers and one 8 channel DriveCore series amplifier, which power 253 Tannoy speakers. A CobraNet VLAN was created on the Cisco switches to transfer audio between equipment rooms. Eight XM Radio receivers provide background music and each zone can also select audio from any of the 96 DirecTV channels. Zone audio source selection and volume are controlled using the Crestron touch panels. A Biamp Vocia MS-1 message server, one DS-10 paging station and VO-4e output device were installed to provide zoned paging to the casino. The show-stopper for the audio and video systems is the six projector, 48’ wide video wall installed in Choctaw Casino RACEBOOK in the OTB area. The screen used for the video wall is the high performance Supernova Infinity screen from DNP. The 54” high by 576” wide screen was shipped from dnp in Denmark to Durant. Six Sony VPL-FH500 projectors with 1920x1200 resolution and 7000 lumens project onto the screen. The objective for the video wall is to show multiple races or events simultaneously. To accomplish this, one TVOne C3-540 Coriomaster is installed as the processor for the video wall. Each projector can show either a full screen or a quad screen which means that the video wall can show up to 24 events at the same time. The Coriomaster has 24 set-top boxes plugged into it. The most often used configuration is either six full screens or three full screens and three quad screens. The configuration of the video wall is controlled using a Crestron control panel with a layout designed specifically for this application. The interface on the control panel is programmed to show a graphic representation of the video wall and a list of layout buttons labeled 6, 12, 18, 22 or 24 screens. Pushing one of the layout button changes the video wall and the graphic representation of the video wall on the control panel. Also on the interface is a scrolling list of sources. The channels on the video wall are easily changed by touching one of the sources on the list and then touching one of the screens on the graphic representation of the video wall on the control panel.